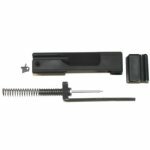 The McKay Enterprises UZI type semi-auto bolt assembly is the finest replica semi-auto bolt assembly on the market today. Built to precise tolerances and requiring no additional machining, this bolt assembly is ready to go for an Uzi type semi-auto rebuild. Kits come shipped as shown in image number two. 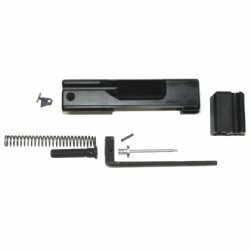 Assembly is simple for the most novice home gunsmith. Each assembly includes the 9 parts as pictured. Uzi Extractor and Extractor Pin are to be reused from the full auto bolt included in most kits.